To back up a sec: you see, our lives had been on autopilot, and I’m not really an autopilot sort of gal. We dated for two years, and then he popped the big question. Typically, the next traditional step would have been engagement and then a joyous wedding a year later. The decision came after I stayed home from work one morning. By noon I had pretty much planned a tropical wedding. The hitch was that it would take place in three weeks in St. Thomas, Virgin Islands. So, four years later in our living room, surrounded by our toddler boy and our crying newborn baby girl, it wasn’t a huge surprise to my husband when I suggested something slightly off his radar. He was starting to get used to my declarations that might throw him for an unexpected loop. In less than five years we had gone from a jet-setting couple heading to elope on the beach to one having conversations involving therapists and parenting class. I think it can be easy to get wrapped up in the excitement of diamond rings, wedding dresses, registries, and parties. It’s a fun and memorable time for sure. AND I think it’s important for couples to remember what the wedding hoopla represents — an actual marriage and possibly building a family together. 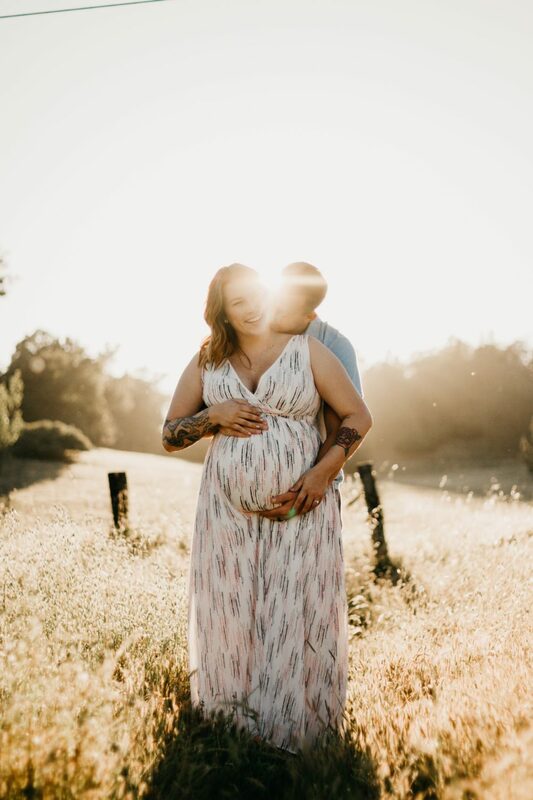 Unfortunately, once you get past the wedding fun, the next stages of building a life together often comes with a lot of stress, especially when it comes to the babies in the baby carriage part. First of all, babies and little kids introduce a certain level of torture to their parents in the form of severe sleep deprivation. Yes, there is a reason this tactic is used on prisoners of war. On top of all that, when you become parents, there is this weird moment when you realize that your husband had a totally different upbringing than yours. There are compromises to be made as you become your own unique little family. No small feat. This is what led to my declaration at 5:30 p.m. on a random day in 2001 about taking a parenting class or meeting with a marriage therapist. Just as I had wanted to fast-track the engagement to get to the marriage, I wanted to get to the merging into one family chapter sooner rather than later. Somewhere deep within, I knew time was of the essence to figure this out and to be on the same page as parents. I’m not sure that this is something you can prepare for during the early stages of love and marriage. I think this is one of those learning through experience things and you have to experience becoming parents together before the magnitude sinks in. I often tell people about that pivotal moment in our life together as a couple in the living room at 5:30 on a random day in 2001. I’m so grateful we decided to ask for help creating our family team. It’s a big deal to merge two separate childhoods into one. Weddings are beautiful and joyous and fun. Building a family together as equal partners is the true bliss.